This is for Christmas for my son. Very disappointed. The color is listed as gray however looks more blue. It was so wrinkled I doubt it they will ever come out. 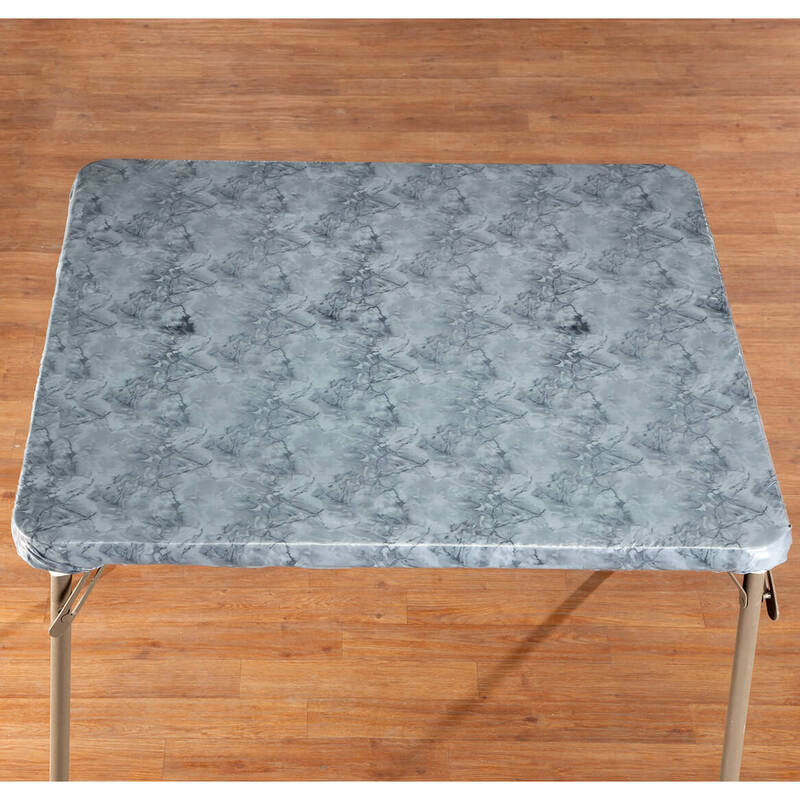 my sister has been searching for a cover for her card table and thought she would appreciate having this for when she needs extra tables for family get-togethers. This was exactly what I needed to dress up my old card table. My banquet table top is blemished. 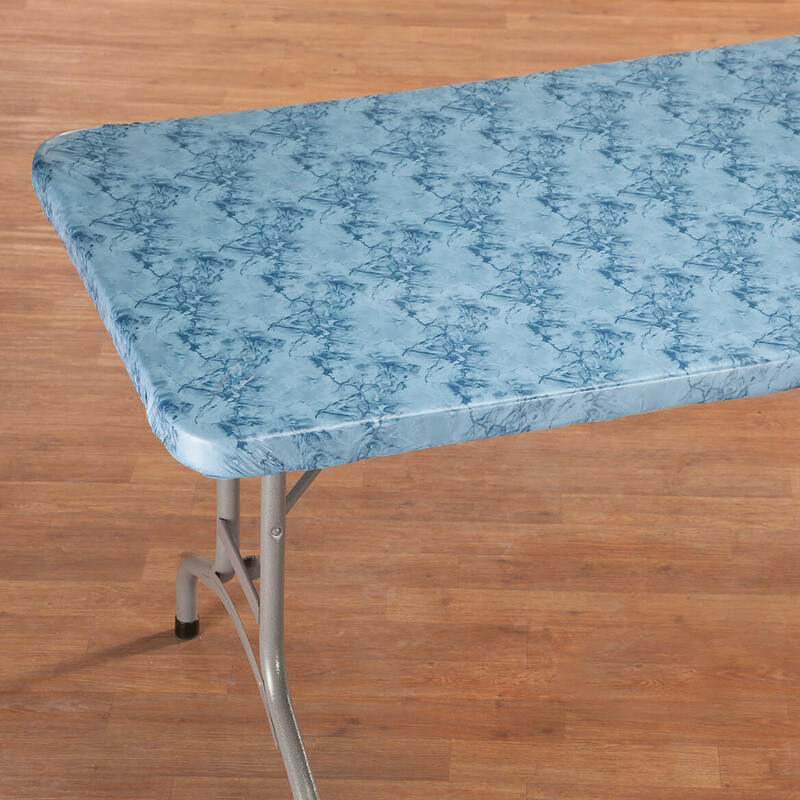 I needed a change on my table top without having to buy a new table and when I saw this it was just what I needed it’s colorful to brighten my kitchen and it’s a change to the table. Very nice. Great variety of sizes, styles and product availability. Prices are reasonable. Great for our outdoor parties. Everyone loves them! 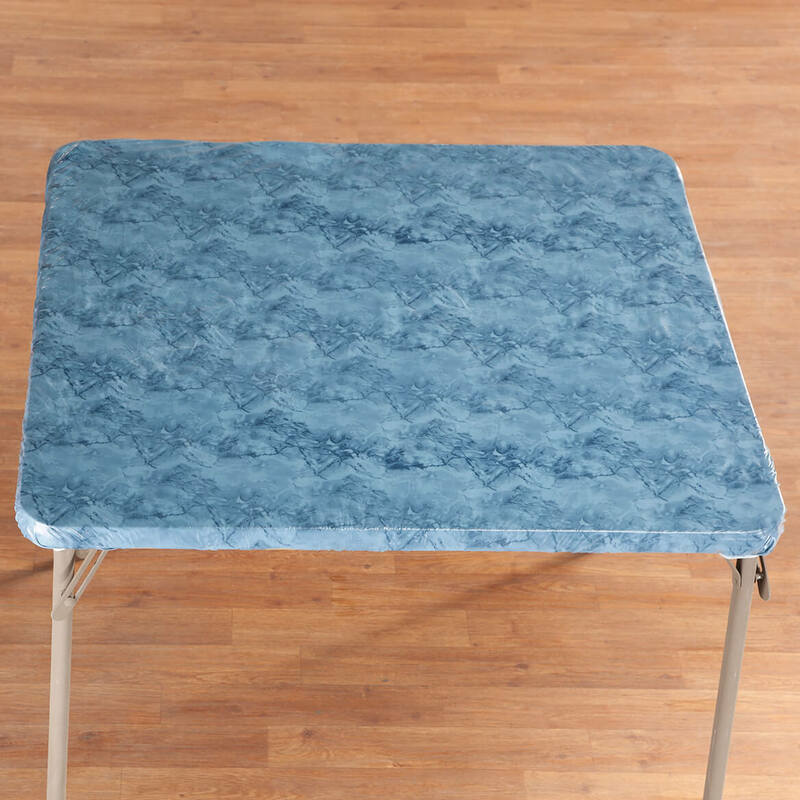 I have several of the elasticized tablecloths and I love them! My table top is 36x36 but the edge is 2 inches all around. 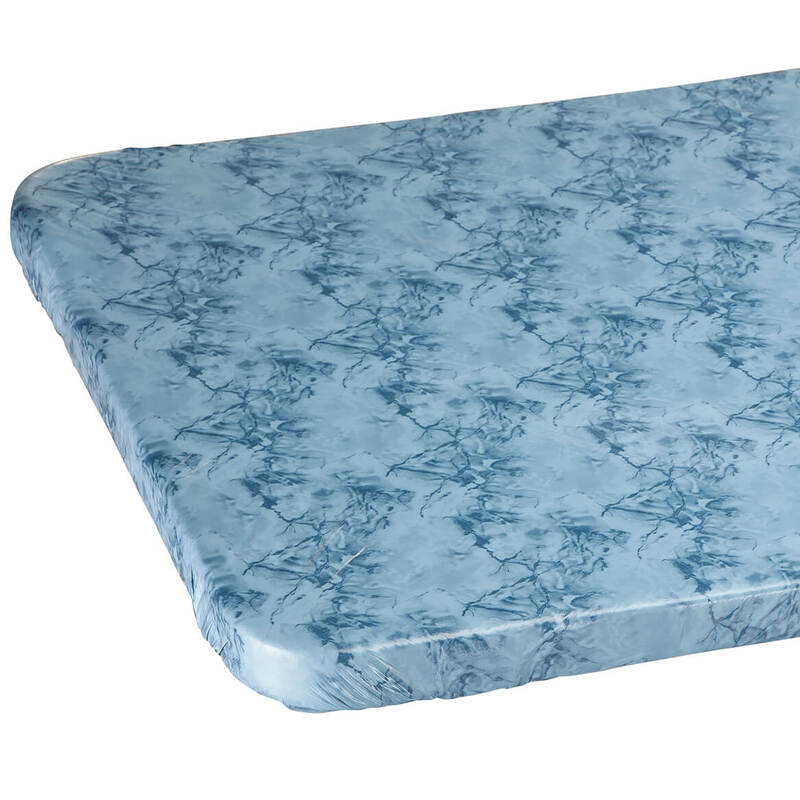 Will your 36x36 fit? 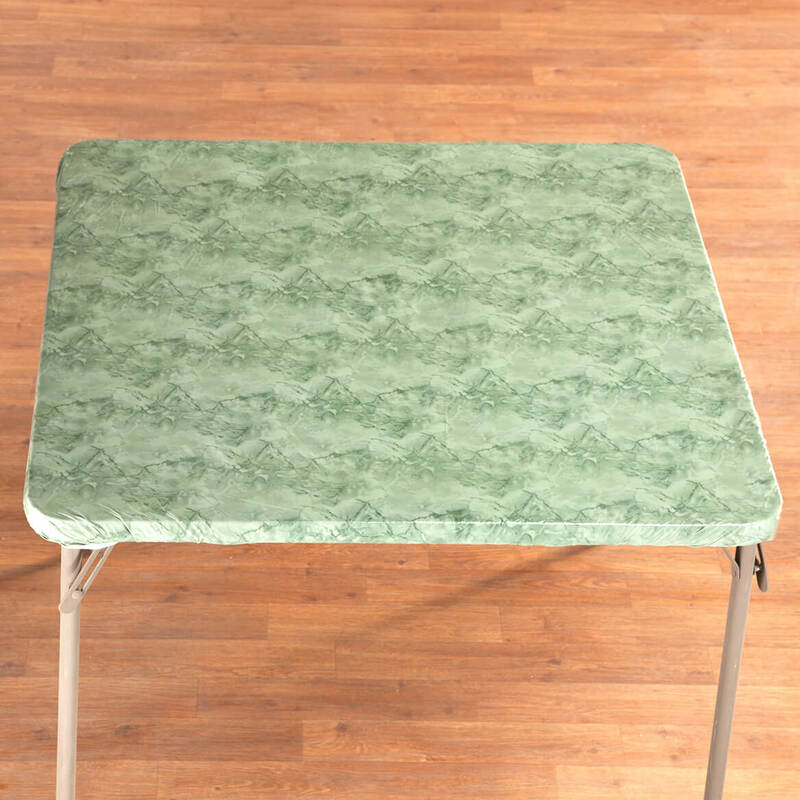 Table is known as a pub table. BEST ANSWER: Thank you for your question. 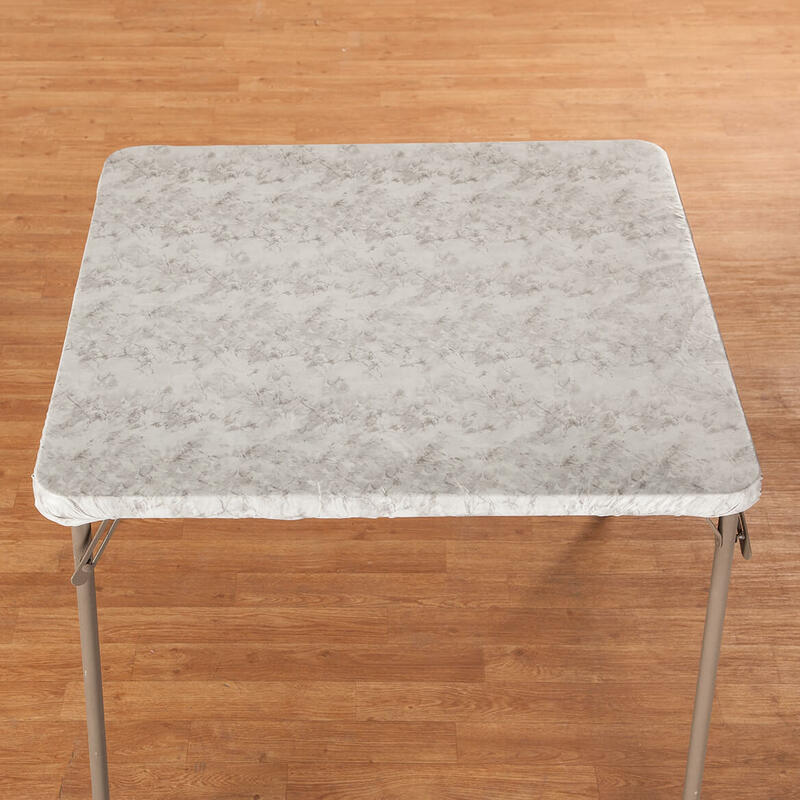 The table cover will fit any table 36" square. We hope this information will be of help to you. 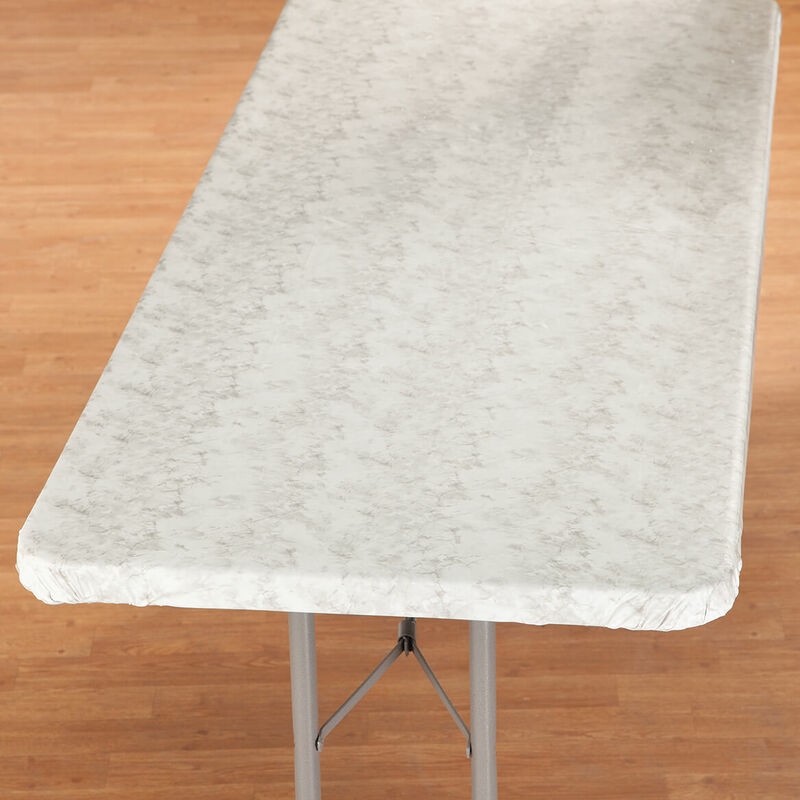 Do you have a table cover that will fit a 58 1/2 by 35 1/2 ? BEST ANSWER: Thank you for your question. Unfortunately we do not have a table cover in that size. We hope this information will be of help to you. 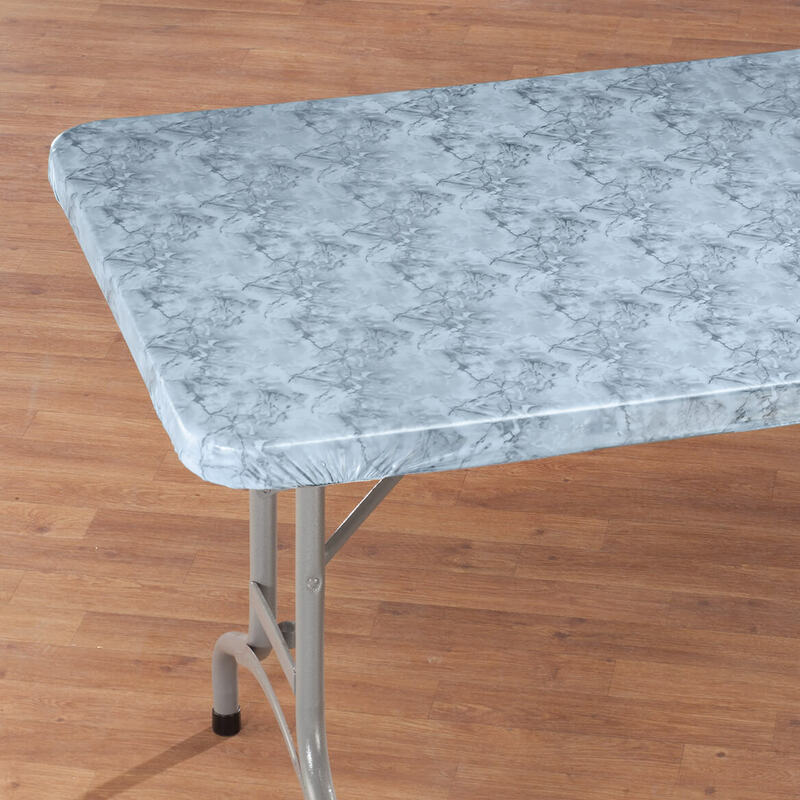 table is oval 46x56 Do you have a vinyl fitted tablecloth that would fit? BEST ANSWER: Thank you for your question. 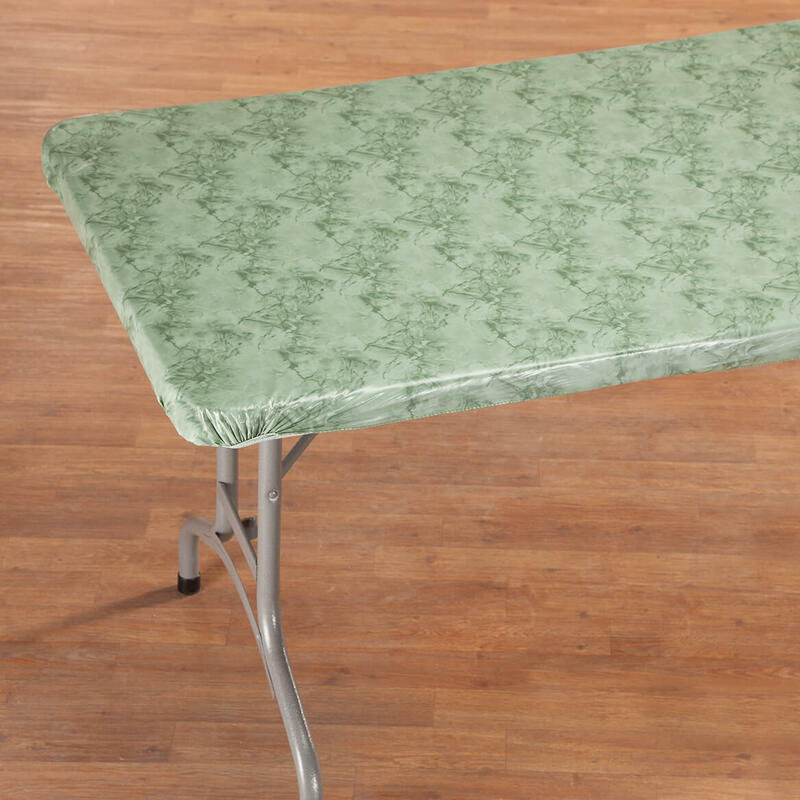 No, but the 45"x56" table cover should fit. We hope this information will be of help to you. My table measures 38in square. Will the 36in stretch to fit? BEST ANSWER: Thank you for your question. 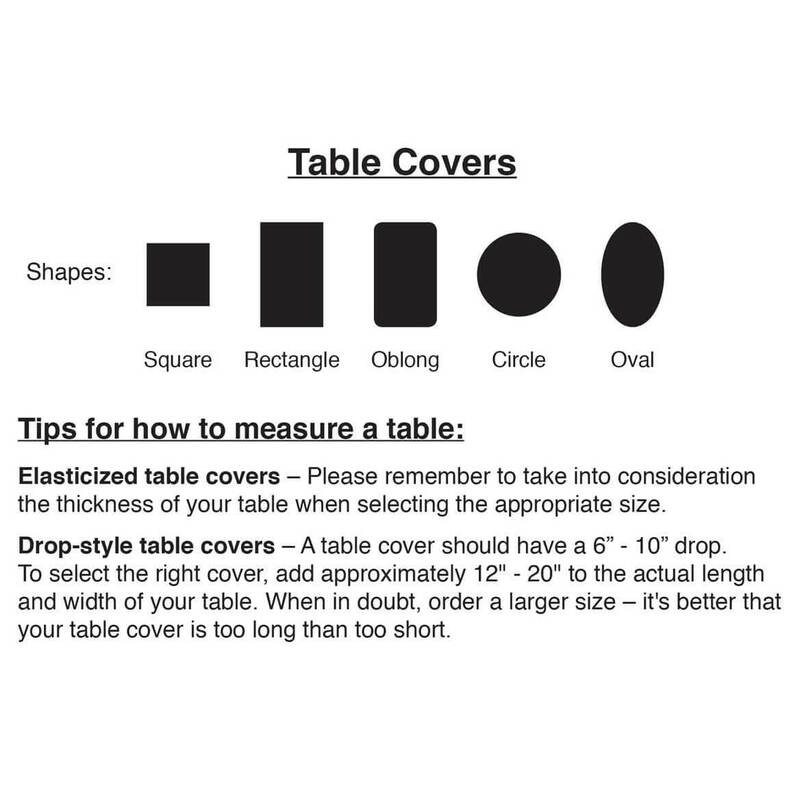 Unfortunately the table cover will not fit your table. We hope this information will be of help to you.